The Islington is all class. The heart of any bike is the frame - the heart of the frame is the material it's made from. Reynolds 725 CrMo is a very nice material indeed - heat treated and double butted meaning that the gauge of the tubing varies along it's length, thicker where is needed (joins) and thinner where it's not - end result is a frame that is both lighter AND stronger. The 'Islington' however, is not just about the Reynolds 725 it's made from it's about art of refined bicycle design. The geometry of this bike is all about the rider experience - treading the line between performance and comfort is somewhat tricky, but when it is done correctly the end result is bicycle magic and that is exactly what the 'Islington' is all about. Finished in very deep coloured blue (Blue Nights) with the details in shades of silver it's an elegant look that will stand the test of time. The standard bike is available in 5 frame sizes and is equipped with full Shimano Tiagra 10S group, Weinmann wheels and just enough polished alloy to make the package shine ...all for $1585. If you're up for an upgrade, no problem. 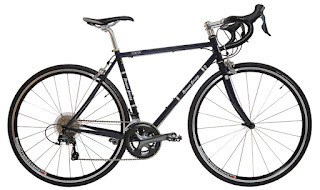 A full Shimano 105 11s 'Islington' will set you back $2,445 or a full Shimano Ultegra 11s 'Islington' is available at $3,145. Other custom builds by request. 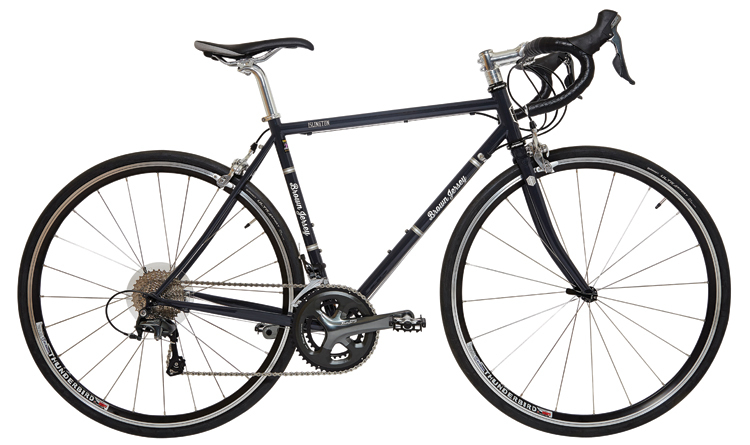 If you're after a classic bike with no compromise on ride performance and quality then this is the bike for you!